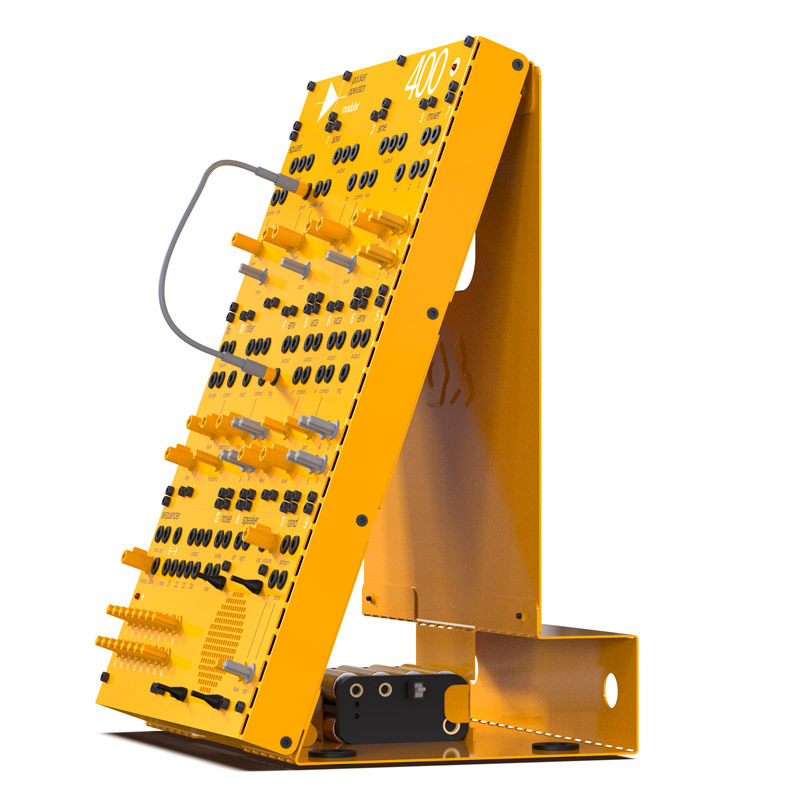 UPDATE: On February 14, Teenage Engineering announced that they would be delaying, indefinitely, the production of the 170 modular synth and the 16 keyboard controller. All customers who had submitted pre-orders have been offered full refunds and a 10 percent discount on the 400 modular system, whose production is still continuing as planned. Teenage Engineering's ever-popular Pocket Operators line of small, battery-powered synths and drum machines has provided endless hours of entry-level synthesis fun for years. Today, they've unveiled a huge addition to the series with three modular synth sets that include a total of 15 sound modules. According to the company, with these "three pre-configured chassis and 15 sound modules, there's finally a way for you to explore the pure fun of modular synthesis in a hassle free way." All of the modules have standard specs, ±12 voltage, and 3.5 mm jacks, meaning they can be patched with other company's modular synths as well. The three kits have a DIY assembly that include sheet metal chassis and electronic modules, along with all the necessary knobs and rubber feet. Each kit includes a 70-page illustrated manual that Teenage Engineering says has "clear instructions and bend angles." "Most people manage to build one in under 15 minutes," the company says. Keep reading for details on each of the three kits. 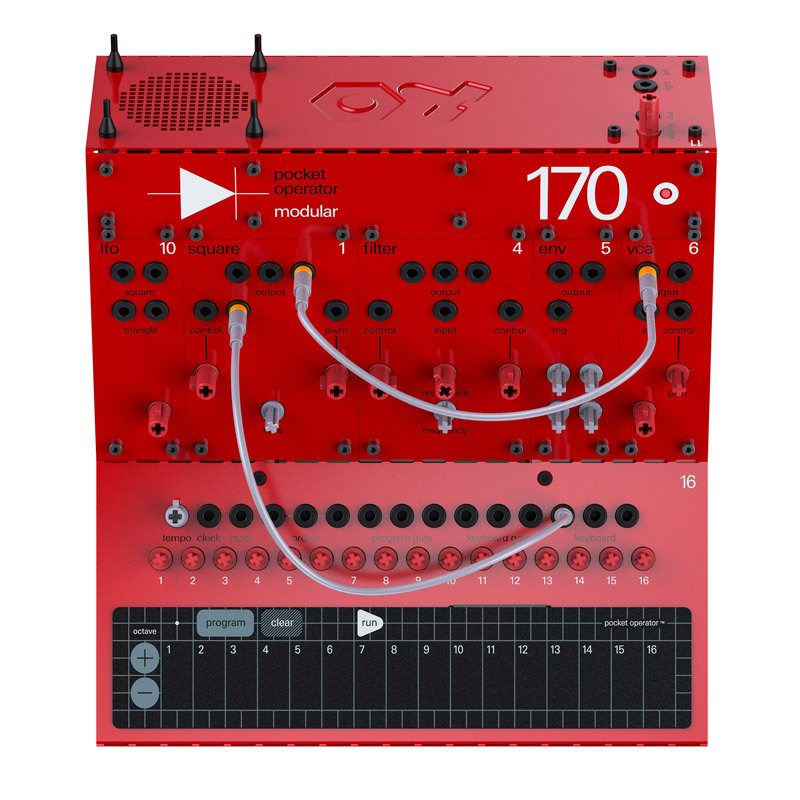 The 170: The 170 is an analog, monophonic synthesizer with a total of seven sound modules. It includes one oscillator, an LFO, a filter, envelope, and VCA, along with built-in speaker box and programmable sequencer. It includes eight patch cables and will retail for $349 USD. The 400: The top-of-the-line analog synth has 14 sound modules, including three oscillators, noise and random generator, two envelopes, two VCAs, an LFO, filter, mixer, speaker, and 16-step sequencer. It includes 15 patch cables for you to connect to your heart's content. It will retail for $499. The 16: The 16 is a keyboard controller with individual tunable keys, with its own programmable step sequencer. As it's a controller, it makes no sound itself, but you can use it to control the 170, 400, or other modular synths.